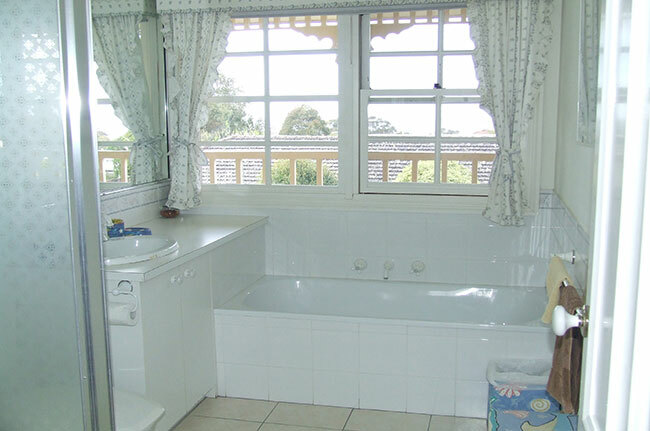 Our Cowrie Road property in Torquay, offers a large House with ocean views, and two fully self-contained units. 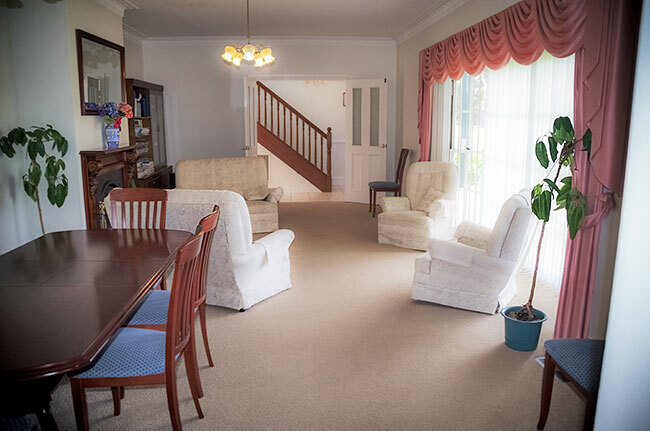 We can accommodate from as few as 2 guests in your own private house or unit, or up to 25 guests for larger groups, by linking the house with the units. Ideal for couples, groups or families. Clubs or sporting groups to holiday together. An Ocean Vista is just the spot for a perfect beach getaway with 180° of Ocean Views. 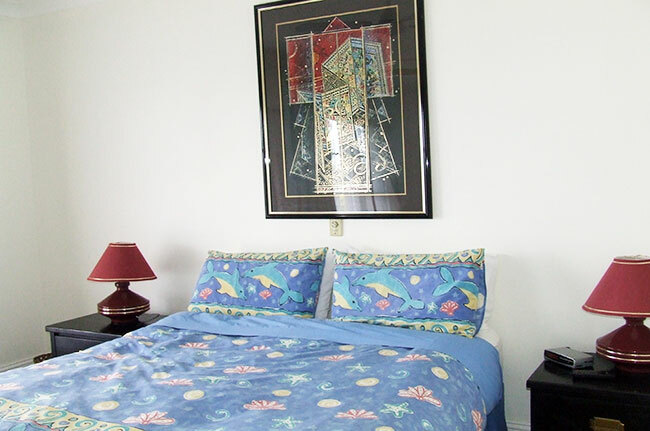 The property is close to everything, only 5 to 10 minute walk to the main street, beaches, restaurants, shops (Rip Curl, Quick Silver). The house and units also have large out-door areas, great for sitting around the BBQ and relaxing. Unit 1 at Cowrie Road is completely self-contained and has a kitchenette; an outdoor decking with table setting and BBQ and is fully air conditioned. The main bedroom has a double bed and the second bedroom has a double bed and two single beds (bunks) Foldaway bed(s) options are available. Sleeps Max 7. 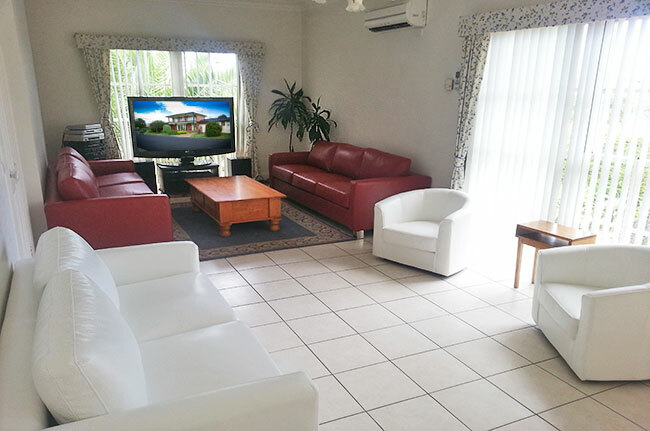 Three bedroom house with Full kitchen; microwave; oven; large fridge; dishwasher/ TV room with big screen TV plus FOXTEL; nice outdoor courtyard; good views; open fire. 3 Double beds, 4 single (bunks). Foldaway bed(s) option available. Upstairs has two queen beds and 1x single bed plus a bunk bed. Good ocean views. Down stairs has a large lounge room with open fire. There is a TV room with 55” TV including Foxtel. Air-conditioned plus ceiling fans. 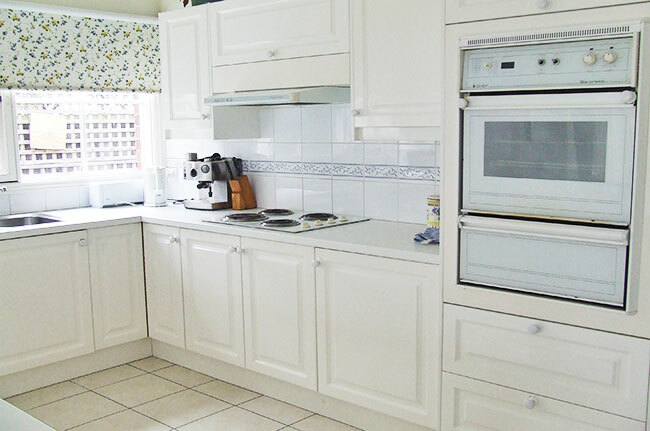 The kitchen is very well appointed with microwave, dishwasher and oven with cook top. Courtyard with outdoor settings. Foldaway bed(s) option available. Sleeps Max 8. Looking for great group accommodation for your next hens or bucks weekend? 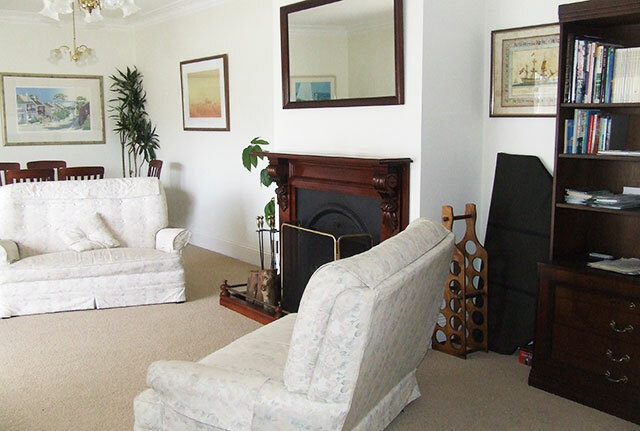 Our self-contained apartments in the heart of Geelong & Torquay are perfect for group bookings. Whether you’re a sporting club or religious group or are just looking for great accommodation for your bucks weekend or hens weekend, our apartments are the perfect option. Ideally located close to the Geelong CBD and Torquay beach, our apartments are the perfect accommodation option for groups that want to be right where the action is.